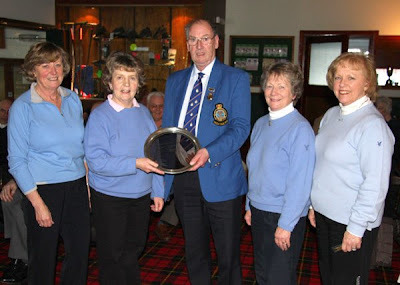 Bill Marshall presents the National Masters trophy to Irene Hird (third), Janette Wilson (skip), Norma Brown (second) and Maggie Mauchline (lead). Find the results and linescores here. 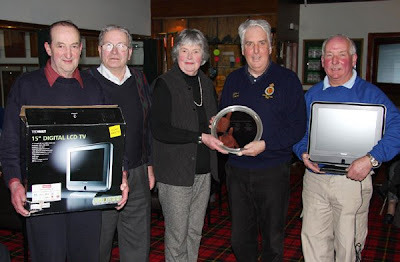 Liz Knox presents trophy and prizes in the men's event to the defending champions Billy Beattie (third), Walter Graham (second), Gifford Rickard (skip) and John Gillespie (lead).